AC/DC guitarist Angus Young defines the hard rock, Blues-inspired guitar style that has since inspired players the world over and spawned countless bands to keep things heavy, hard and rockin’! In this DVD tutorial, Stuart Bull shows you the riffs, licks and scorching Blues solos that create the legendary AC/DC sound, by examining five of their biggest anthems. Note for note detail broken down into easy to learn parts. Intro, verse, chorus, solo etc and then broken down into bars (smaller bits). Stuart Bull plays a bar, slows it down and explains all the notes and plays it again. You can even play each track and see it played all the way through with backing music. This is great to learn from (composition, timing etc) and practice to. 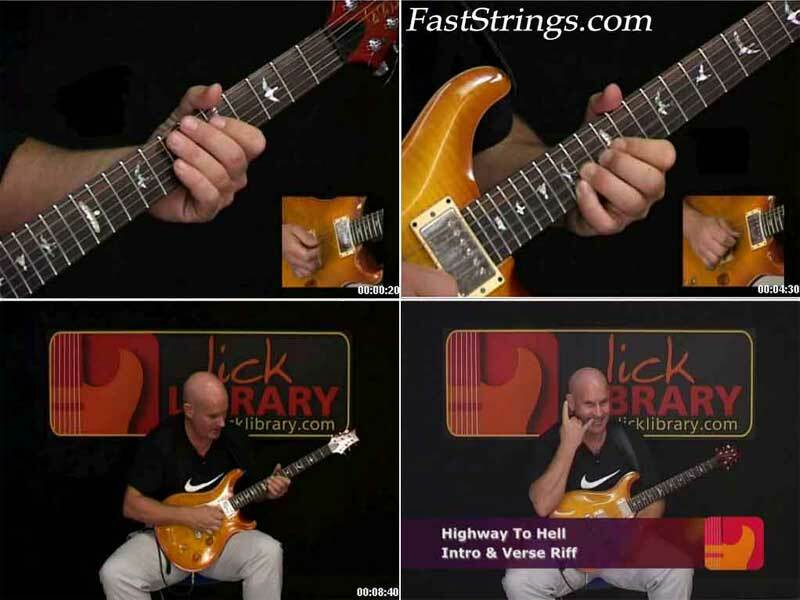 Bull’s expert approach and warm delivery will have you mastering such hits as Back In Black and Highway To Hell in no time, and give you the opportunity to add Young’s best guitar moves to your own arsenal of riffs and techniques. Let There Be Rock! !